Once a Valiant, always a Valiant. 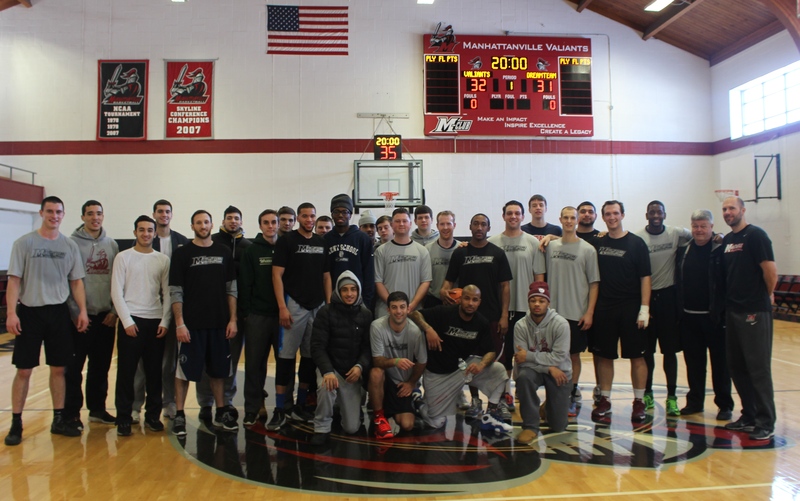 This past Saturday, Manhattanville welcomed back its basketball alumni for a day full of sports. The Office of Alumni Relations in collaboration with the Men’s and Women’s basketball programs organized a series of activities for alumni to enjoy along with their families. Kennedy Gymnasium was once again the arena where our former basketball players practiced the sport they love so much. Current team members joined in the fun by shooting some hoops alongside their preceding Valiants, and later enjoyed delicious refreshments in the main lobby of Kennedy Gym. 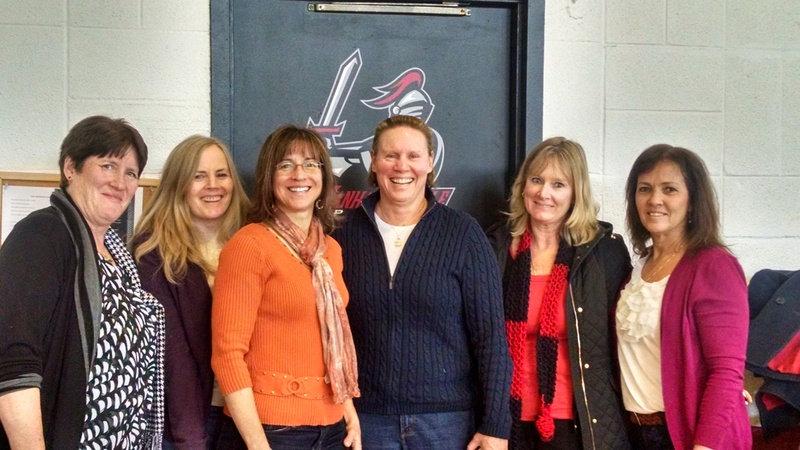 Theresa Carey ’82, a recent Athletics Hall of Fame inductee, was among the athletes who came back to participate in some games with other alumni from the 80s and as recent as the class of 2013. All dressed in Manhattanville attire, it was as if they had never left! 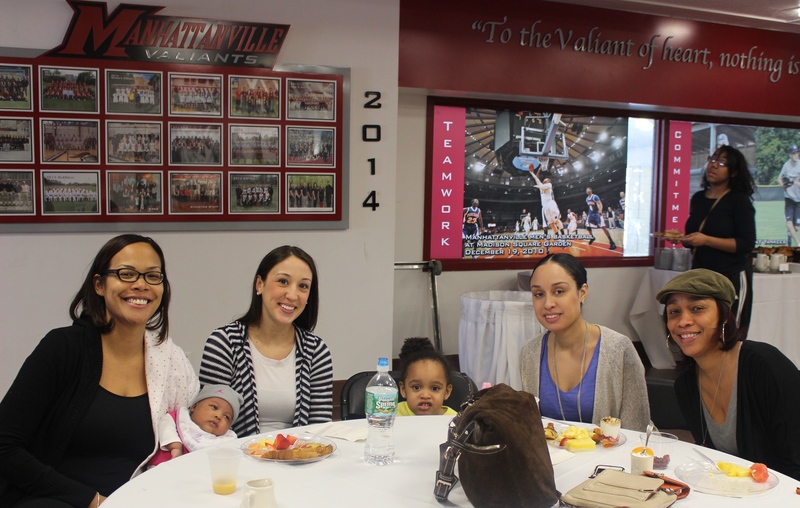 As the day came to a close and after engaging in several exciting basketball match ups, the alumni and their families headed over to a local restaurant for a social gathering. We would like to give special thanks to Coach Pat Scanlon and Coach Kate Vlahakis, head coaches of the basketball programs, as well as Jennifer Griffin and Elizabeth Fiore, from the Office of Alumni Relations. Their planning and organizing efforts made this event a success. Visit http://govaliants.com/ for more information on future alumni athletic events. Save the Date, all alumni are invited to an Athletics Reception during Reunion 2015 on Saturday, June 6th at 2pm.